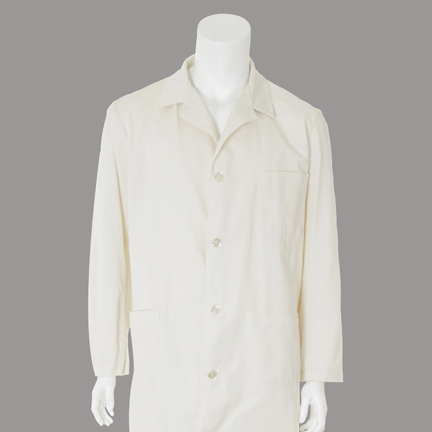 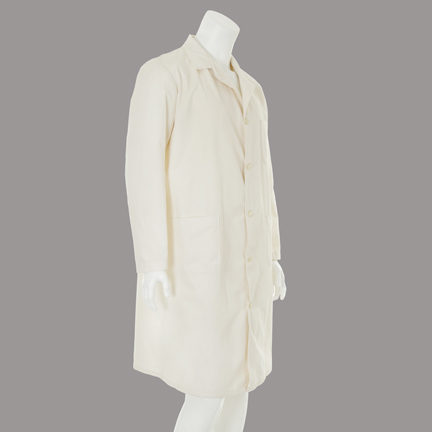 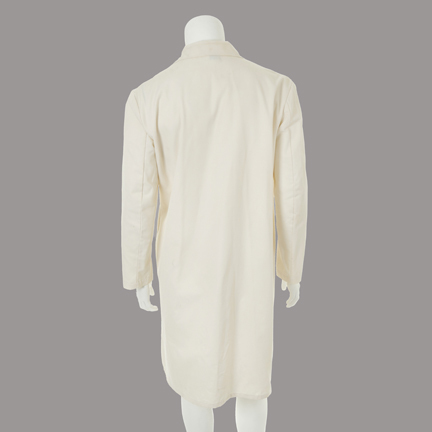 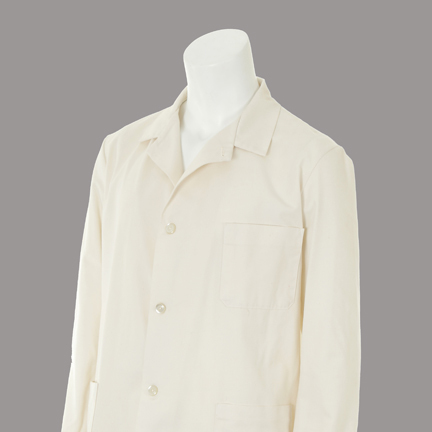 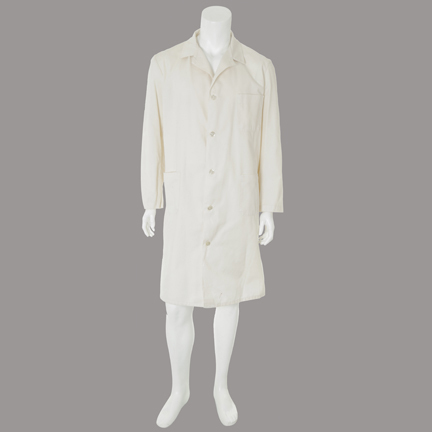 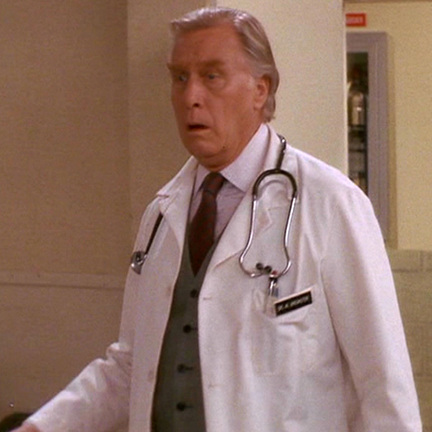 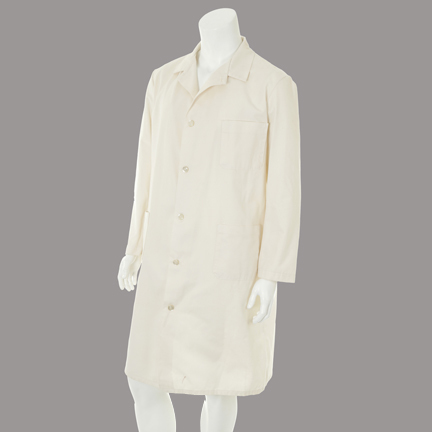 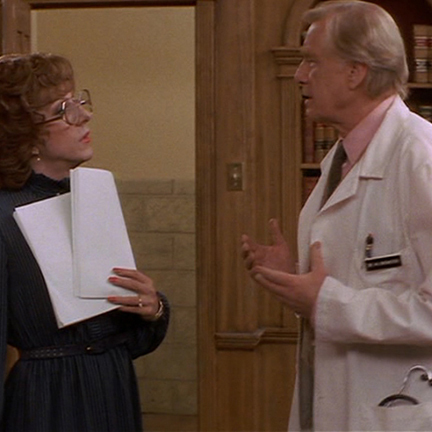 This lab coat was worn by the character “John Van Horn” portrayed by George Gaynes in the 1982 motion picture “Tootsie” starring Dustin Hoffman, Jessica Lange, and Geena Davis. 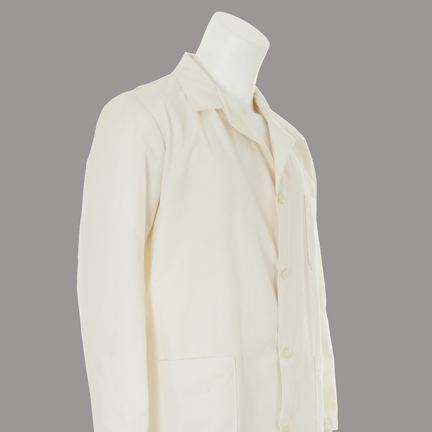 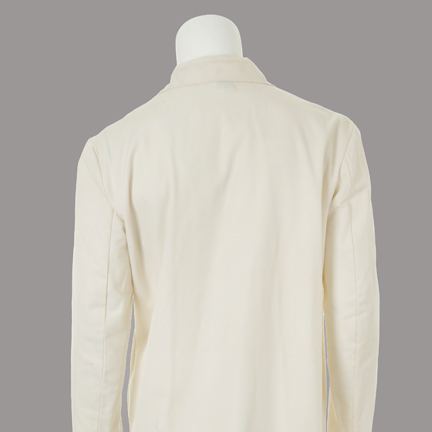 The cotton white lab coat has three patch pockets, button front, and “G” hand written on the manufacturers label. 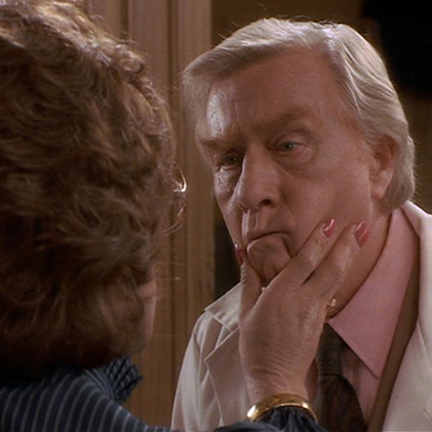 Mr. Gaynes wears this outfit when he and Dorothy Michaels (Dustin Hoffman) do their first scene together for the fictional soap opera, "Southwest General". 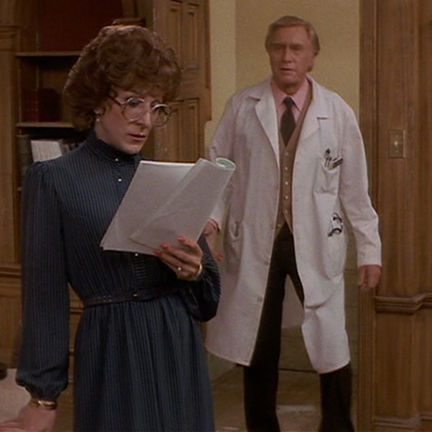 “Tootsie” was nominated for numerous Academy Awards in 1983, and Jessica Lange won an Oscar for Best Supporting Actress for her work on the film.